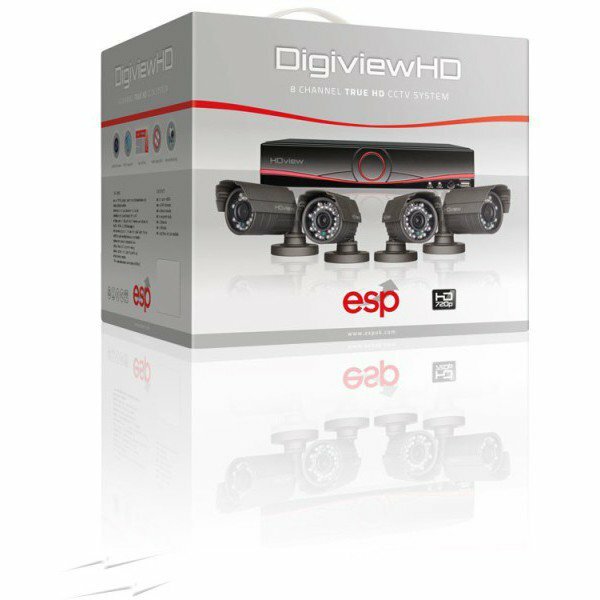 This is the ESP HDV8KB DigiviewHD 8 Channel 1 TB DVR True HD CCTV system complete with 4 x HD bullet cameras, ideal as a security CCTV kit in locations such as retail, office, both indoors and outdoors (the cameras can be safely used outdoors), etc. The kit can be expanded up to 8 channel (4 more CCTV cameras can be added to it, they need to be ordered separately). You can now monitor the CCTV system in True HD via your Android or iPhone. This 4 x 1.3 MegaPixel day and night bullet cameras monitor the property or premises non-stop, and you can remotely monitor the situation via wired or Wi-Fi connection (DVRWLA required, ordered separately). Cameras: 4 x ESP HDVC36FB 1.3MP HD day/night bullet cameras, weatherproof, ideal for both indoor and outdoor use. Hard drive: 1 TB HDD included. Remote monitoring: it is possible, via wired or Wi-Fi connection (requires DVRWLA, ordered separately). 8 channel true HD CCTV camera system with 4 cameras; it can be expanded up to 8 CCTV cameras (ordered separately). Mobile monitoring: can be done with the Android or the iPhone app. 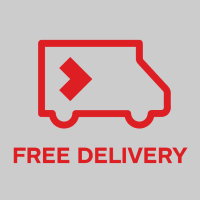 The four cameras included in this kit are 720P HD resolution CCTV "bullet" cameras, pat of the HDview range featuring the multi-function on screen display (OSD) settings.